Michael White, founder of Rural Courses, was born and raised in the country and loved it so much that he stayed to build a self-sufficient life for him and his family. The skills and techniques he teaches are those he uses daily to sustain his way of life and his knowledge and enthusiasm for the subjects ensures an inspirational and informative day. For over ten years, Michael has run courses and workshops introducing hundreds of adults and children to a host of country activities. 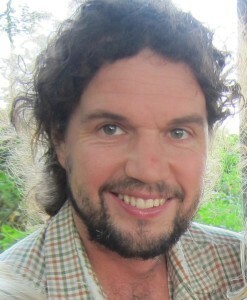 He has always had a particular passion for foraging and wild food and is a well known writer and lecturer on the subject. Just to prove that it really is possible to live off the land, in 2009 Michael walked in excess of 300 miles from St. David’s, Wales to his home in Kent living exclusively on wild foraged foods. See pictures from the walk in the gallery. Why not catch up on Michael’s latest news on his blog or the Rural Courses Facebook page. A course or experience with Rural Courses makes a great gift. Buy online on the Vouchers page. Challenge Clive 'Ferreting' Read Clive’s article from ‘Sussex Life’ magazine about a ferreting course.